Do you have a few minutes to take a survey? Yeah, chances are that you’ve heard that at least a few times in your life and most likely you’ve also encountered one that goes on forever with no end in sight. Why can’t there be a way to poll and solicit someone’s opinion about something without having it be so mundane? Well one service is hoping to solve this problem and it’s having a bit of fun with it too. 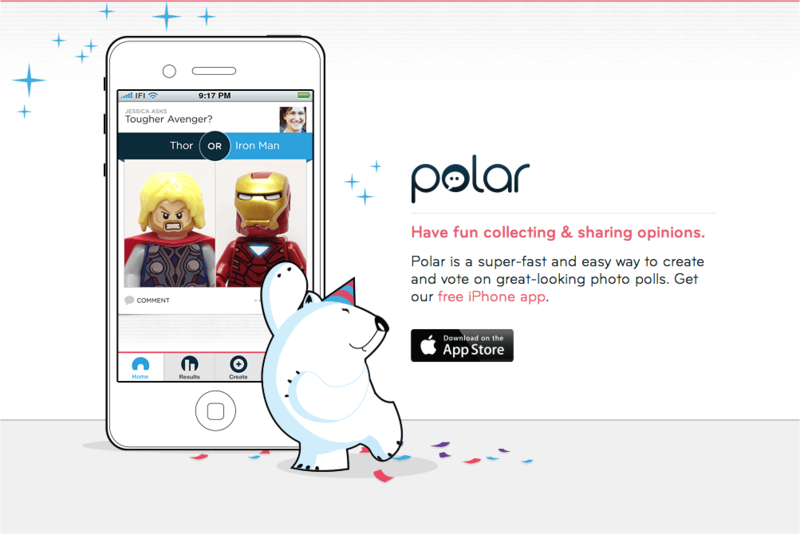 Called Polar, this mobile application allows you to create micro-surveys and polls while offering an appeal similar to that of Quora, but more laid-back and focused on more simpler questions. The goal is to get people to share their opinions and offer feedback to people’s questions in a fun, engaging way. 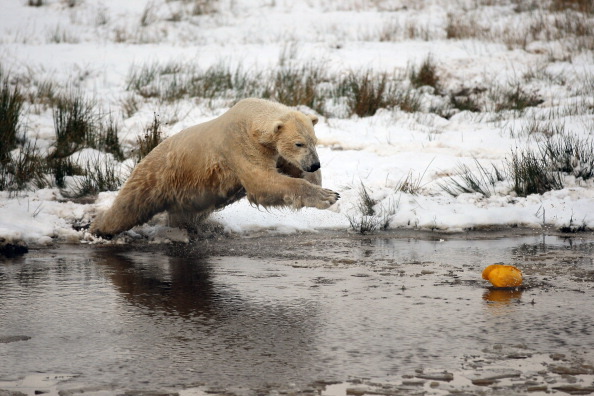 Put it in another way: As Quora is to blogging, so too is Polar akin to microblogging. The point is that one requires more thought-out discussion and conversation while the other one is more simplified. But in the end, they aren’t competitors. Polar’s service seems to be performing quite well too. It tells us that the average votes per user is in the hundreds with more than 20 votes per user visiting the app. Started by the co-founder and Chief Product Officer of Bagcheck, Luke Wroblewski and co-founder of Patients Like Me, Jeff Cole, Polar is one way where users can get answers to their most pressing and simple questions answered practically 24 hours a day, 7 days a week. Essentially, the founders believe that everyday questions that pop-up in our heads are more prolific and very deep and emotional and can quickly be answered. The service has seen questions that are conversational in nature, others that are focused on “Why are you doing it?”, to even questions meant to help boost you up. Built using a mobile-first design, the team said that from their experience, they understood that since people typically have their phones on them at every waking moment, there was a distinct opportunity to help rethink how they could take surveys. The traditional format just doesn’t work on mobile devices — imagine being asked to respond to a SurveyMonkey link, it just would be pretty inefficient to respond to a five page questionnaire on a small touch screen. Wroblewski says that what people want is something that’s fast, easy, and fun to use — that’s what they’re hoping Polar will be about. We asked why the company had the polar bear as a mascot for the service. It tells us that by having some type of personality gives it a distinct tone and that it’s more light-hearted than other features. Within the application, there are numerous ways for a user to engage: the number one way is by voting. 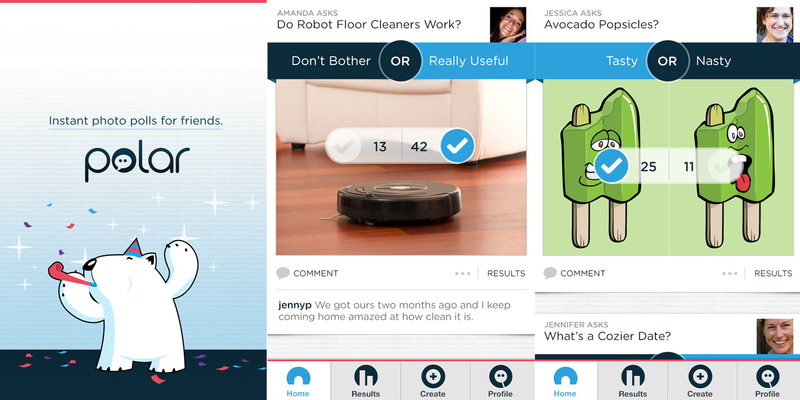 After that, users can see how others are voting, leave comments, share the polls to Twitter, email, etc., and create your own poll, complete with an image search feature, so you can see what others think. Wroblewski has a thesis that he calls “the new tech mullet” and it says that there must be simple mobile interactions up front and big data in the back. The idea is that for the end user, you create something that is lightweight, simple, focused, and you can still receive a whole bunch of data in the back end. Why? Because most likely people will find it so reassuring to use that they’ll gladly use it over and over again, generating data that is accrued in the database. With the amount of data being harvested from the service, Polar will be able to derive great insights into consumer behavior and potentially be able to use that to monetize itself in the future. But right now, it says it isn’t worried about that. In fact, Wroblewski says that its goal is to focus on creating the best customer experience possible, getting feedback, tweaking it, and pushing it out again. Then, if it’s successful, naturally businesses will want to come on board to give the company money. Polar hasn’t received any funding and is totally bootstrapped. It is available on iOS devices and has started a poll asking if it should come to Android devices. Voice your opinion and let them know.